Let me tell you about this guy I used to date. He was nice, fun and quite interesting. Adventurous, too! Unfortunately, he was also incredibly challenging. Quite frankly, he annoyed me quite a bit… but in that good sort of way. Does that make sense? Anyway no hard feelings there. The point I’m getting across is that my relationship with him is quite comparable to my relationship with yoga. It’s challenging, yet rewarding. Both fun and difficult all at the same time. Most of all it’s something to experience. Because who are we, if not for our experiences? I’ve been practicing yoga for about 3 years and find it to be one of the most rewarding workouts. Not to be a complete hippie, but it’s really taught me a lot about myself, reduced my stress, and kept me happy during tough times. Obviously better than any boyfriend thus far. So, what’s this yoga challenge about? My yoga studio offers several different types of yoga classes, all in a heated environment. They recently posted a yoga challenge called Mount Everest, and I was immediately curious. 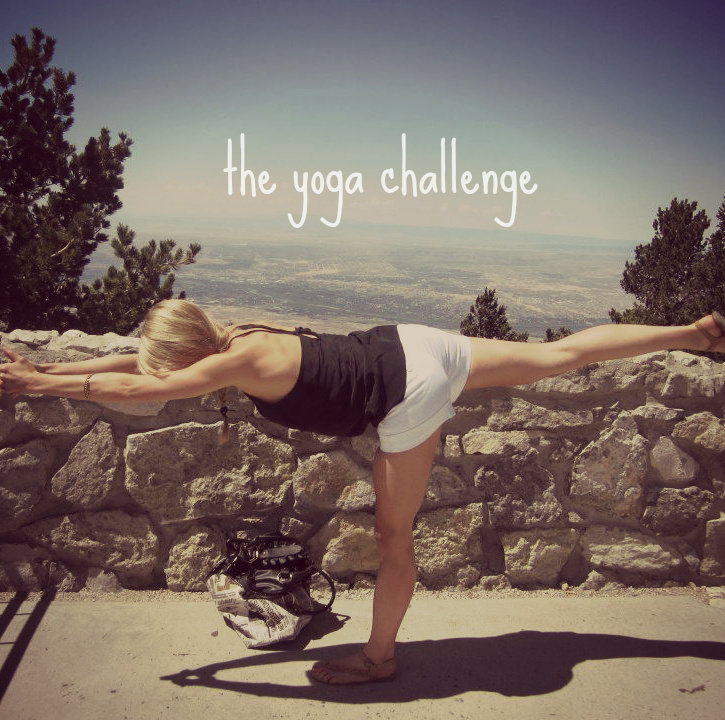 The goal of the challenge is to yoga every day for the next 6 weeks. Whoever reaches 35 classes first wins! You can also double up on your classes; I’ll probably do that two times a week. I wanted to share this all with you and document my experience, and also perhaps offer a little inspiration and encouragement along my journey. Calories burned: I just purchased a heart rate monitor off of Amazon, so as soon as it arrives in the mail, I’ll be wearing it to all of my classes to help document how many calories I’ve burned. Food: I don’t plan on posting what I’m eating all the time, but instead include some photos of my meals in weekly recaps. For the next month, I’m giving up alcohol, peanut butter, and most wheat. I’ll be sticking to a high protein diet, healthy gluten free grains, and avoiding anything processed. I’ll also be switching to organic fruits and veggies. It’s a good thing I’ve been saving up recipes to post! Weight loss: I’ll track weekly any weight loss along with how I’m feeling or if I’m noticing any changes in my body or emotions. Recaps of favorite work outs: I’m not going to jotting down my moves while in class, but I might share a fun move or how many sit-ups I did, etc. I’m curious, what has your fitness experience been? Have you tried yoga? Be sure to follow me on Instagram, Facebook, or Twitter for more updates. 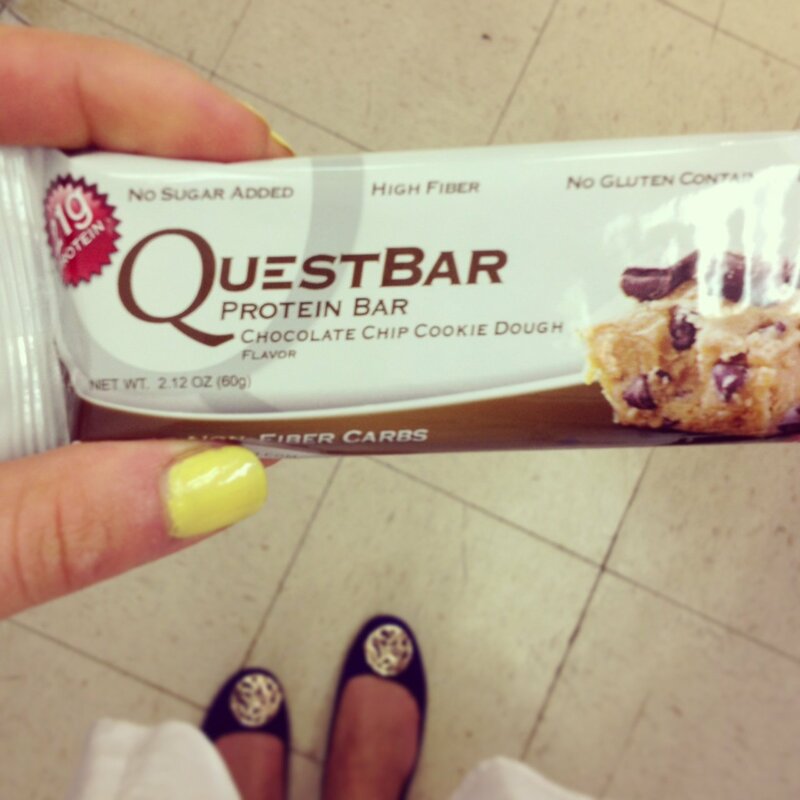 Let’s talk: clean eating and weight loss + a Quest bar giveaway! It’s time to talk nutrition, clean eating and weight loss on Ambitious Kitchen. I’m sure you all know how important it is to feed your body with nourishing, good-for-you foods. You could run for an hour every single day but if you aren’t eating right, you’ll never see the results you desire. To top it all off, there are SO MANY diet out there; how do you even know what’s right? While I agree that it’s best to eat for your body type and what makes you feel good, I am also a huge advocate of clean eating. So, what is clean eating? It’s basically a no-junk approach to your diet, plus it’s actually incredibly simple AND delicious! You don’t have to sacrifice the things you love, you just make alternative choices. Roasted vegetables with herbs instead of chips — I roast veggies with a tiny bit of olive oil and an array of spices. YUM! Sweet potatoes instead of white potatoes — Sweet potatoes are a complex carb, which means they take longer for your body to break down. I love topping mine with a tiny bit of almond butter or maple syrup. Water instead of juice or a latte — Always reach for water. Most of the time when you think you’re hungry, you’re actually thirsty. Nonfat plain Greek yogurt instead of sugar-packed ice cream — I could go on forever about the benefits of Greek yogurt and how I like to use it in recipes. My favorite swap is adding a packet of Truvia to Greek yogurt, then swirling in fresh fruit, pumpkin butter, peanut butter, or sometimes cocoa powder. Amazing! Whole grain bread instead of white — If you must have bread, always go with whole grain or whole wheat. Read labels and watch out for breads with sugar added or high fructose corn syrup. Sprouted bread is great too. Eggs instead of waffles every morning — It’s best to start your day off with a healthy breakfast. Think high protein and low sugar. Make a great choice to start the day, and you’re likely to stick with it. So you’ve probably heard all of those before, right? Yes, eating clean is a conscious choice but it can also be a constant battle. Come on, are you kidding? I’m not perfect. I drool over Bon Appetit magazine and sometimes I just really crave an ice cream cone from McDonald’s. However, I live by the 80/20 rule which means most days I’m eating simple and clean. This makes me feel better, more confident, and in general, happier. I love the way my body feels when I’m eating healthy foods. Simply put, eating an apple is much more energizing then eating an Oreo. Wouldn’t you agree? Now I’m not an expert or a nutritionist, I can only speak from my own experiences with weight gain/loss, dieting, and in general being a female. Obviously there’s a huge amount of pressure on women these days, and it’s easy to feel uncomfortable in your own skin. Most importantly, you also have to remember that only YOU are in control of your habits. If you want to make a change, you have to start somewhere. It’s certainly not going to be an easy road, but the good news is that little changes absolutely lead to BIG results! Know how many calories you should be eating, then write down everything you eat. Yes, this is annoying but it will be a crucial part of your success. Monitoring what you are putting in your body is SO important. Most of the time we are unaware of how many calories that we’re actually consuming. I like to use the MyFitnessPal app on my phone, but you can also access it online! Read nutrition labels. Nutrition labels are available to you for a reason. There are also serving sizes for a reason. Try to stick to these! Don’t make it a habit of purchasing foods with ingredients that you can’t pronounce. Eliminate all of your ‘pleasure’ foods, but one (for a little bit anyway). This sounds difficult, and it is! Think of it more as a challenge. If you can take a look at your diet and see what foods you don’t need, then try to slowly eliminate them. I used to really love ice cream so every week I would go to Dairy Queen for a really big Reese’s Blizzard. I realized that this wasn’t making me feel good and that I didn’t really need it. Other examples would be cookies, pastries, your morning latte, chips at lunch, sodas, extra cream in your coffee, that sweet ‘granola’ bar, sugary cereals, etc. Keep one of your pleasure foods for one day a week to enjoy, then don’t feel guilty about it. Moderation is key! Prepare, prepare, prepare, AND eat out less! Having healthy foods available to you will make eating healthier a lot more easy. Grill a couple of chicken breasts, make healthy breakfast burritos with egg whites, prepare oatmeal and soups in your crockpot for the week. Do what fits your lifestyle best, but try eating at home as much as possible. You will save calories and money! Here’s an example grocery list I created for The Food Network. Try your best to NOT eat for emotional reasons: I have done this countless times, and perhaps it’s personally my biggest obstacle. Know what your triggers are. Currently I’m reading a phenomenal book on emotional eating. It’s really helped me in managing my stress and understanding my eating habits and triggers. Always eat breakfast. 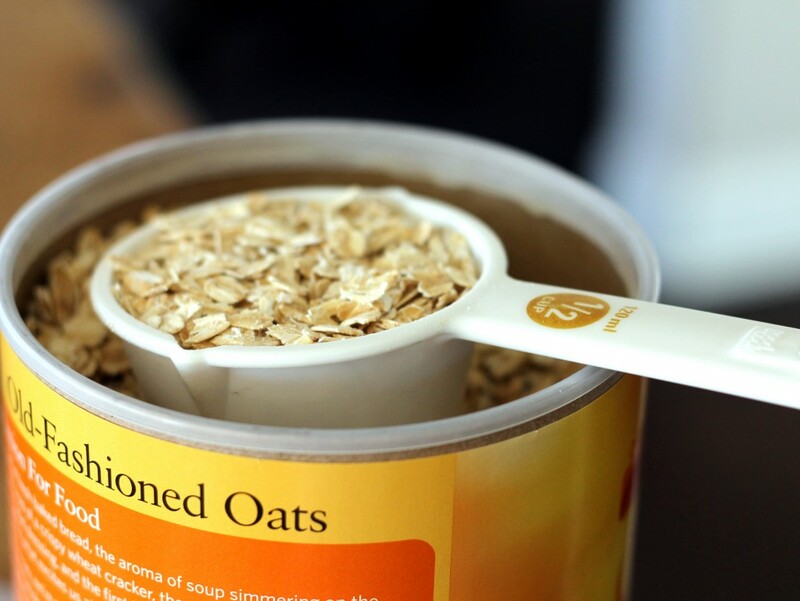 Breakfast is the best; it kickstarts your metabolism, and allows you to stay on track the rest of the day! I love yogurt with fruit and nuts, an egg white omelet, or oatmeal! Watch your fat and carb intake. Don’t get me wrong, healthy fats are wonderful. I love coconut oil, avocados, and nuts; however, these foods are easy to go overboard with and the calories quickly add up. Just make sure you watch your serving sizes — especially with cheese! As for carbs, I love them! They give you energy and make you feel happy, but you don’t need to eat a 6-inch Subway sandwich to feel good all the time. 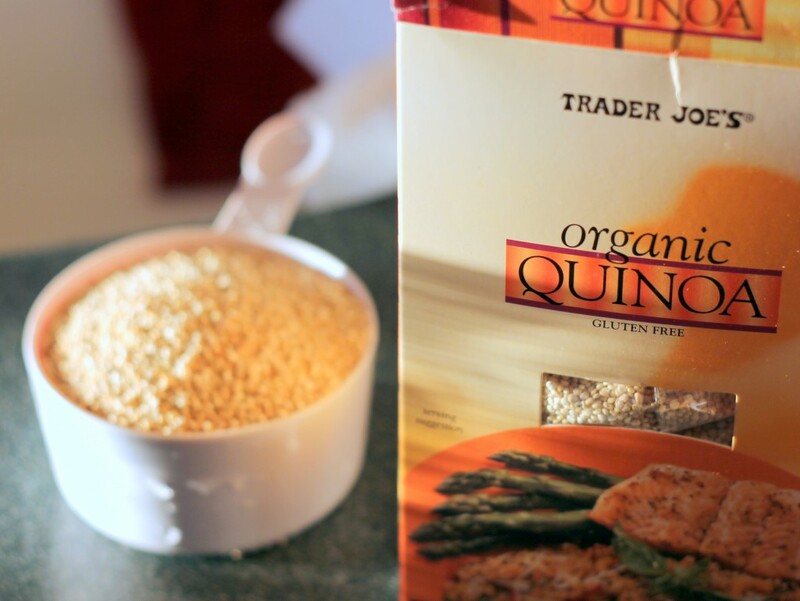 Look for good carb sources such as fruits or whole grains like oatmeal and quinoa. Power foods! I hope that you’ll find some of these tips useful. I’ve found them successful for myself, but I’m definitely not an expert. I’m only sharing my knowledge based on what I’ve read and experimented with in my own life. You can consider that a disclaimer. Now I think we can all agree that snacking is so much fun and it’s really difficult not to reach for that candy bar at 3pm. But I’ve got a brand that I think you will absolutely love! Quest Nutrition makes protein bars that taste like candy bars. Seriously, I think if I could eat these bars every day for the rest of my life, I would. Yep, obsessed! Recently Quest Nutrition reached out to me and kindly sent me a sample package of their protein bars. OH MY GOODNESS, I was shocked at how incredible they were. These bars are truly perfect for someone who either loves to work out, is watching their figure, or for a low carb lover. So let me tell you a little bit about their bars: they’re gluten free, contain at least 15g of protein, are low-carb, and have no sugar is added. Yes, they are as amazing as they sound — I’m not kidding! For me these bars were wonderful before or after a workout or if I needed a quick breakfast in the morning. My favorite flavors are chocolate chip cookie dough, chocolate, peanut butter chocolate, vanilla almond, and strawberry cheesecake. And all of them taste incredible when microwaved for 15 seconds. I can’t recommend them enough and lucky for you, Quest has agreed to sponsor a giveaway. 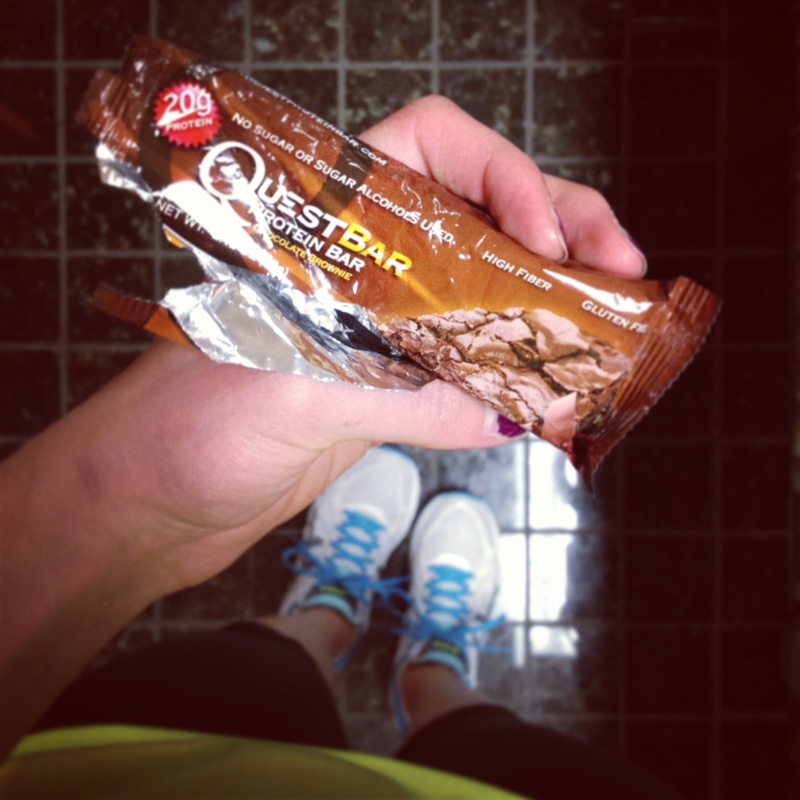 Here’s how it works: I will randomly selecting TWO winners who will receive a 12-sample pack of Quest Nutrition Bars. Like Quest Nutrition on Facebook. Leave a comment below and share either a tip for healthy eating/weight management or your personal weight loss story. For additional entries: Each follow on one of social networks below will get you an additional entry, just make sure you let me know in the comments that you have done so. Giveaway will close at midnight EST on Sunday, May 26, 2013 and winner will be randomly chosen and notified via email on Monday, May 27, 2013. Good luck! *Disclaimer: Quest has agreed to sponsor a giveaway for this post, but as always opinions are my own. I’m not an expert on health or nutrition; I just love sharing my experience. 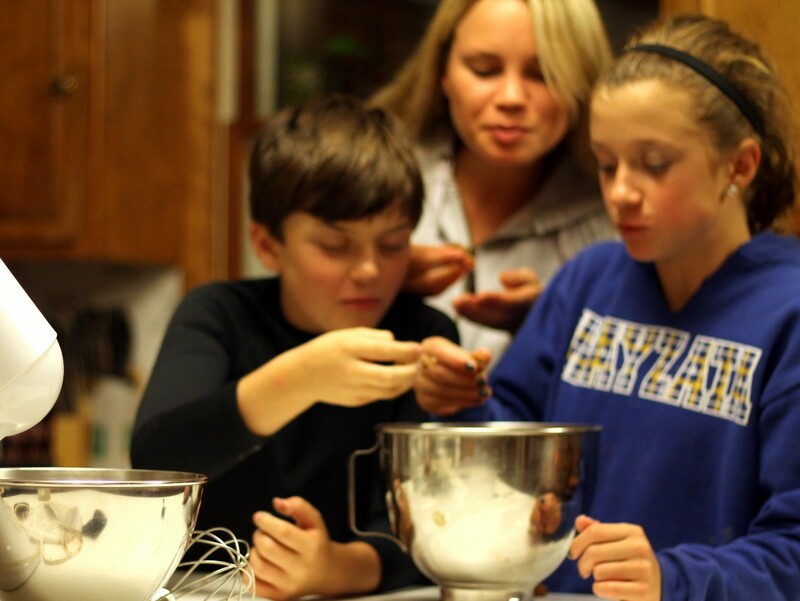 Today we’re going to talk about a topic that seems to be popping up everywhere: how to get kids to eat healthy. And although, I’m not a parent, I am passionate about the issue and recognize how important it is for children to maintain a healthy, balanced diet in order to promote a positive long-lasting relationship with food. I could get into the details, and provide you with a million statistics, but really all I’d like to do is to increase your awareness and inspire you to get a little creative with the children in your life. I’d also like to direct you to Lunch Break for Kids, a national fundraiser that highlights ways for parents and kids to come together with chefs and schools to show how simple, good food can make children healthier, as well as build strong family connections. Below I’ve provided some friendly ideas and suggestions, which are all of course my opinion. I am in no way in expert, I just love kids, so I hope you enjoy. Please feel free to share any tips, ideas, or questions you have in the comments. 1. Breakfast is important: feeding children healthy balanced breakfast is one of the best ways you can start their mornings. 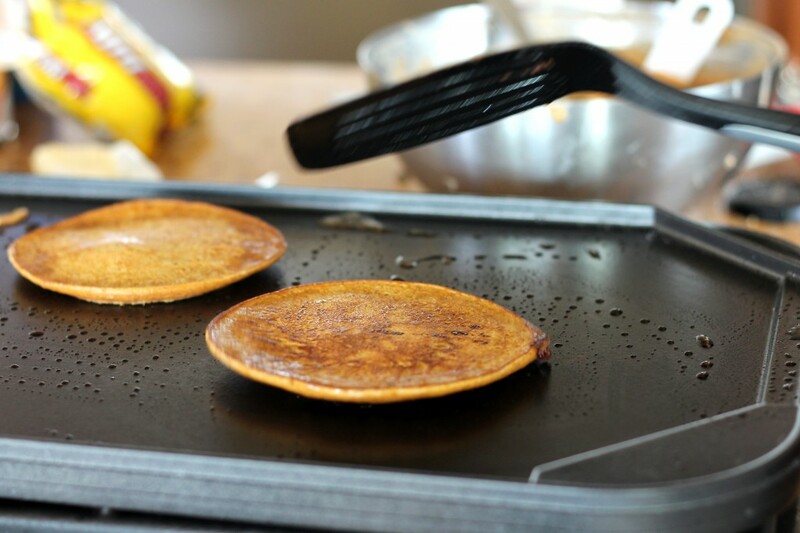 Make a big batch of pancakes during the week using whole wheat flour or oatmeal to sneak in fiber and provide whole grains. 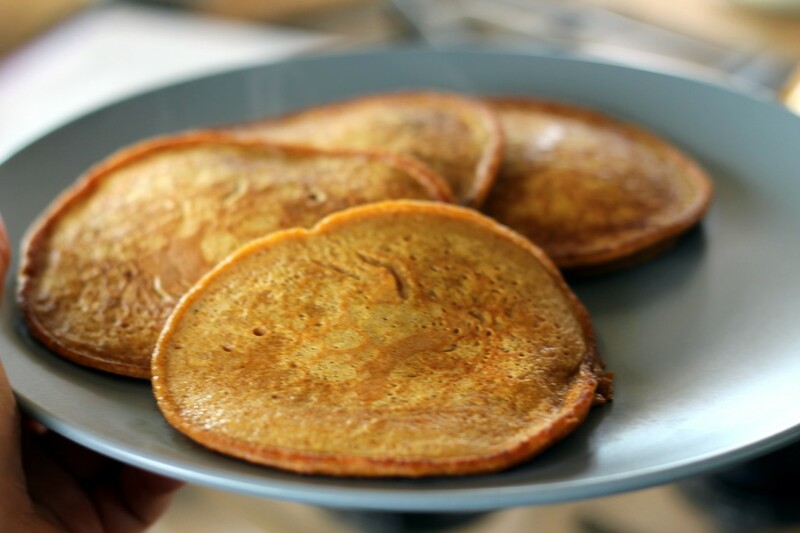 You can also blend in fruit into the pancake such as a banana or even applesauce! Freeze the leftovers and simply reheat in the microwave. Try topping the pancakes with fresh fruit, jam, nut butters, or pure maple syrup. A couple of chocolate chips wont hurt either. 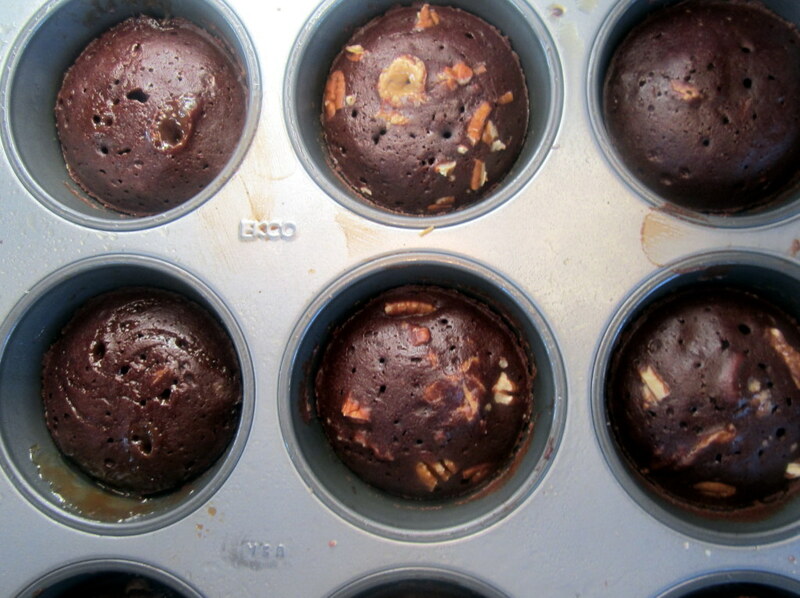 Muffins are a great way to sneak in fruits and veggies in the morning. Try pumpkin muffins made with less sugar and whole wheat flour or oatmeal. Another tip? 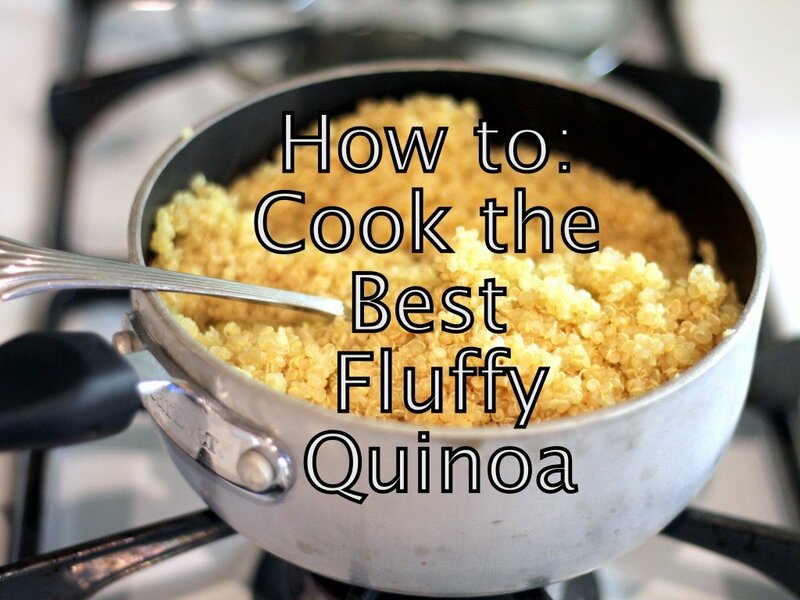 Substitute applesauce for some of the sugar and/or oil in the recipe! My Better-for you Banana Muffins are one of my favorites served warm and spread with creamy peanut butter. Kids love them! Breakfast quesadillas are another kid favorite. Eggs with a bit of cheese on a whole grain tortilla are delicious, or opt for something a bit more creative with my Peanut butter, Strawberry and Banana Quesadillas! In a hurry? I have a ton of healthy breakfast ideas for you to try. Try a whole wheat bagel or a slice of toast topped with peanut butter or another healthy nut butter. Another option is greek yogurt with a bit of low-sugar granola. Or blend a smoothie made with chocolate milk (dark chocolate almond milk is delicious too! ), a banana, and yogurt. 2. 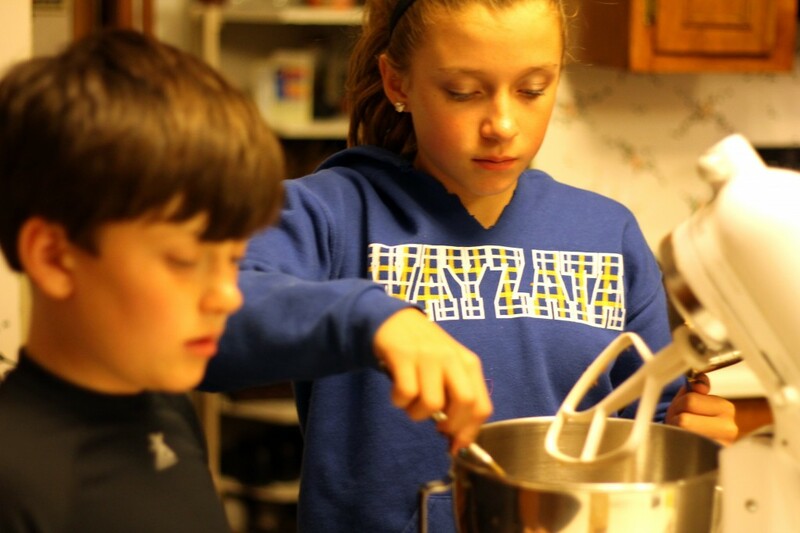 Get in the kitchen with them: spending time with children in the kitchen is a great way to teach them about the nutrition in food and how it works in each meal. Introduce them to new foods and explain how it works in the dish. 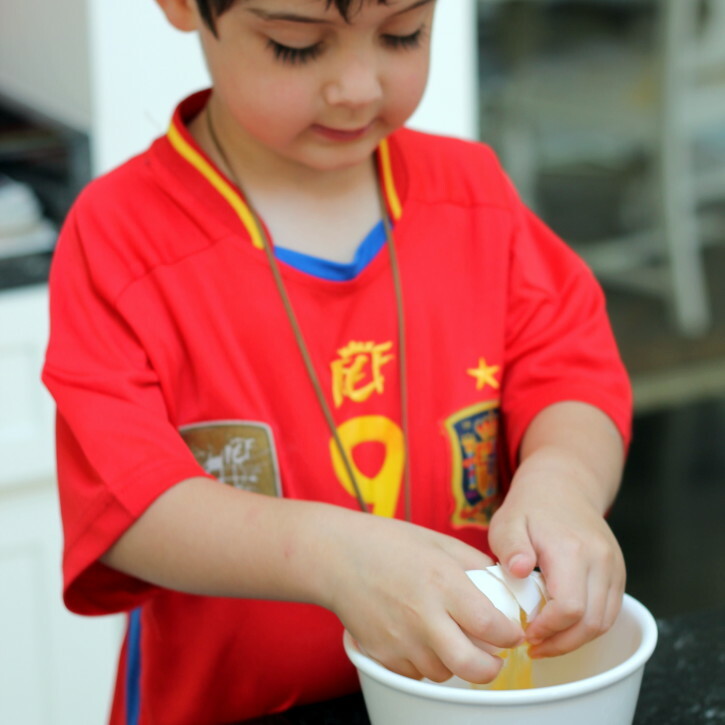 Children will become even more interested in the food that you have prepared when given the opportunity to participate in the creation of the meal. Offer them a chance to be creative by asking them what they think of the ingredients or if they would add anything to the dish if they could. 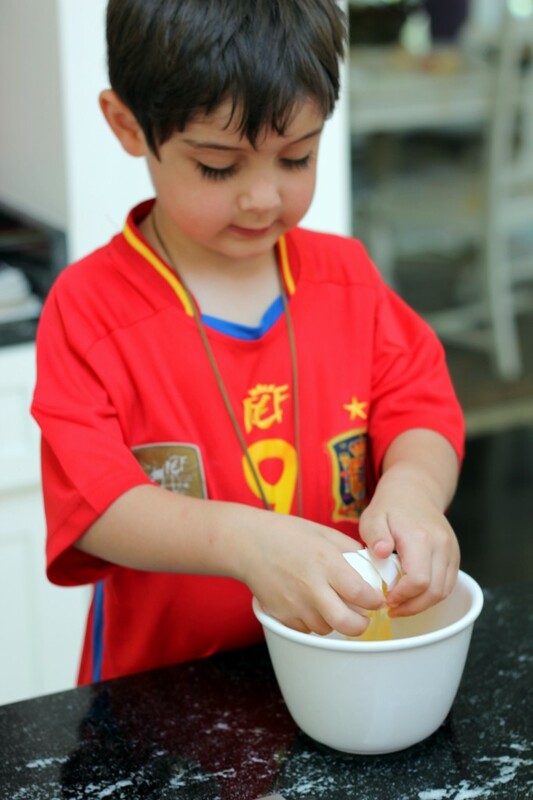 Kids have a blast when they’re allowed to sample and smell ingredients, or participate. If you are baking, allow kids to try and crack eggs, roll out dough, mix in the blueberries in the pancake batter or even scoop cupcake batter into the muffins liners. Remember its okay if they make messes; they’re still learning! Name food funny names. Laugh with them. Ask them if food resembles anything. Make weird shapes with food. Above all, just have fun! Do you know who this gorgeous woman is? Well if you aren’t familiar, her name is Chris Freytag–a woman who I look up to for many reasons. Chris is a health and fitness expert, author and national speaker…. oh, and my group fitness instructor! Chris has been teaching fitness classes and personal training for over 20 years and is currently a contributing editor for Prevention Magazine; the fitness contributor for the NBC affiliate in Minneapolis; and Chairman of the Board of Directors for the American Council on Exercise. 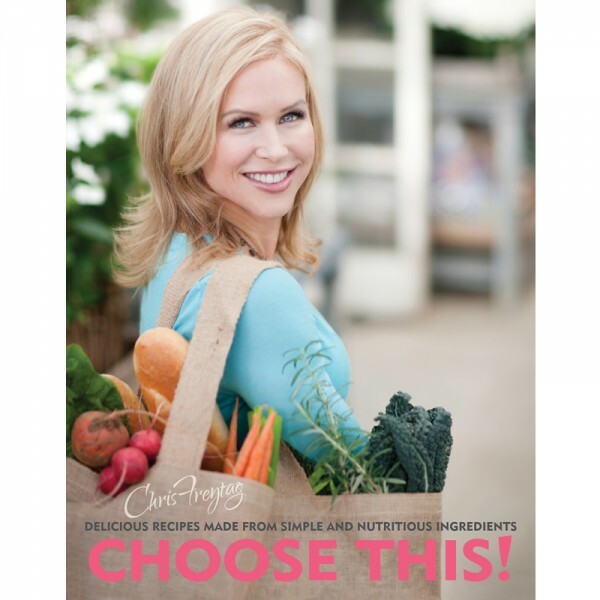 Chris has authored 5 books; has created dozens of fitness DVD’s; and sells her signature line of healthy kitchen and fitness products on QVC. Ummm… what hasn’t she done!? And course because she doesn’t have enough going on already (kidding here), I asked her to do a interview for my blog. I’m thrilled! If you’ve been reading Ambitious Kitchen, you know that I believe finding a passion you love is something incredibly important. I can’t emphasize that enough! Whether it’s yoga or cooking, I try to do something I’m passionate about every single day. Chris follows her passion for healthy living and exercising by encouraging others to do the same. I think it’s very inspiring. Now besides cooking massive amounts of food and grocery shopping all the time, I thought you might find it interesting to get a glimpse into my health lifestyle a bit more. First off, I believe in being active and eating healthy (most of the time). I try to work out 6 days a week which includes a mix of kickboxing, yoga, running, weight lifting, and cycling. Mixing my exercise routine up is important otherwise I get bored too easily. My favorite way to de-stress is to run, but I also love a relaxing mind-body vinyassa yoga. Some of my best work outs are the mix of kickboxing, plyometrics, and weight lifting — with good music obviously! I especially love working out with others, I’ve found that it motivates me to push myself to work harder. 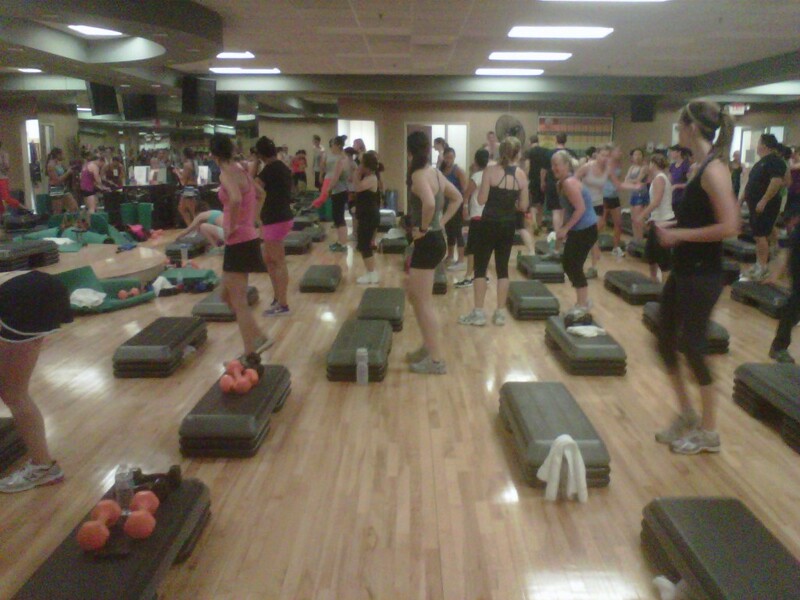 The picture below is of my group fitness class. I met Chris about a year ago at Lifetime Fitness in Minnesota while taking one of her cycling classes. Chris teaches various group fitness classes including: Hot Yoga, Cycling, Strike! (basically kickboxing with a bar weight), and Total Conditioning. She’s one of my favorite instructors not only because she encourages me to step outside my comfort zone and challenge my body, but because she is incredibly fun to work out with! After chatting with Chris, I realized we have a lot in common including a love for healthy living and pumpkin pie, but also sharing our passion with others. I asked Chris to put together some healthy living tips to share with all of you. These tips are some of my favorites because not only do I apply them to my personal life, but I believe that they can be beneficial to many of you–helping to make a huge difference in the way you think, exercise, and eat! Use Sundays as prep days to eat healthy all week. Get enough produce and staple needed for the week. Make double or triple of your meal, and freeze the extra for future use. Grill up extra chicken breasts and use them in salads and one-pot dishes for the rest of the week. 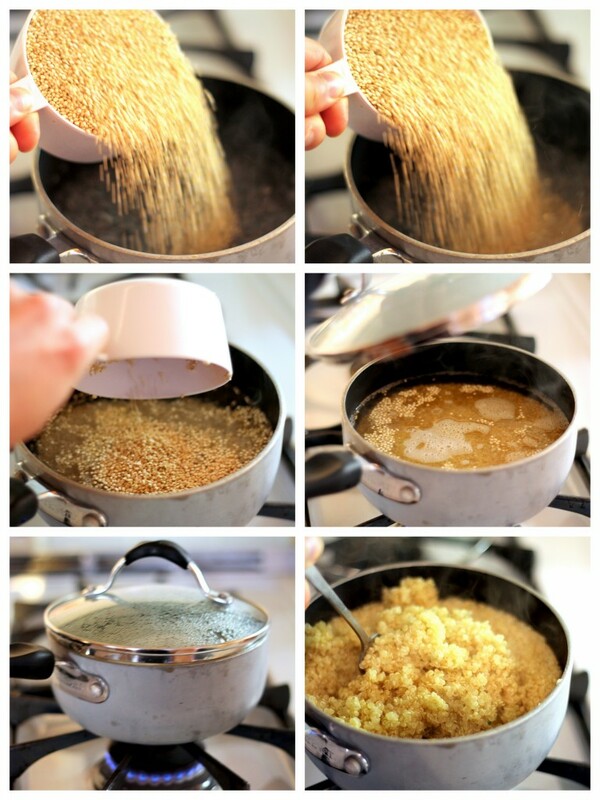 Make a batch of brown rice and keep it in the fridge for easy lunches, burritos, and stir fry. 2. Aspire to eat clean. Focus on eating things that come mostly from plants and trees, sometimes animals, and eat less from boxes, bags, and take-out containers. Try to get the majority of your daily calories from fresh fruits and vegetables, minimally processed whole grains, low-fat dairy, nuts, seeds and lean meats and fish. Clean eating minimizes the presence of preservatives, chemically altered fats, extra sodium and artificial ingredients. 4. Find a healthy substitute for your most tempting food. I love ice cream, but most of the time I will substitute it with Greek yogurt sweetened with a little raw honey and I add berries and dark chocolate chips or walnuts. 5. Don’t start and stop, just keep going! One great way to kill your confidence is to constantly start and stop your fitness regimen. It’s common for people to get psyched up and dive in to working out only to drop it altogether when the craziness of life intervenes. If you start overly ambitious, you are less likely to stick with your routine. If exercise is new to you, start off slow and aim for a few workouts per week and then increase as you go. In addition to being active Chris believes it’s important to eat healthy, but realizes that it can be tough; which is why Chris wrote a cookbook to help others. Choose This! 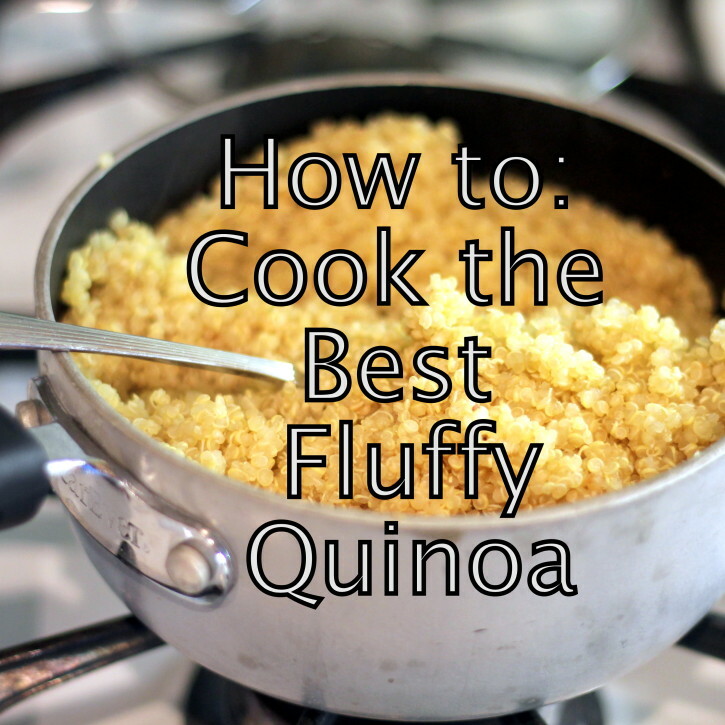 offers incredible, FUN, easy recipes that have kept me coming back for more. Whenever I want something quick and healthy to eat, I pull out this cookbook–even for dessert ideas! The book also offers calorie counts on recipes and nutritional information, which I find very appealing. Now I drink A LOT of smoothies, so I knew this book was destined to be on my shelf when I saw an entire chapter devoted to them. 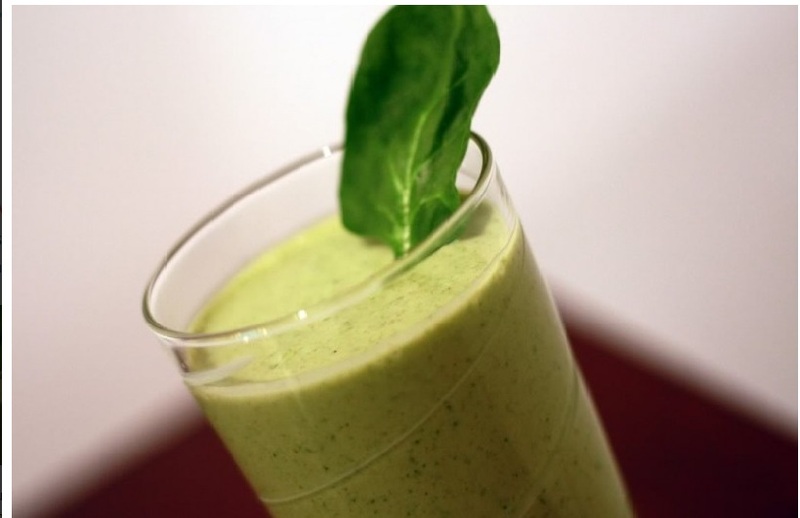 One of Chris’ favorite breakfast recipes happens to be her Green Machine Smoothie. It’s made with frozen bananas and pineapple, almond milk, coconut extract, kale and spinach. This smoothie has vitamins A and C, calcium, fiber, folic acid, magnesium and other nutrients–it’s now my go-to breakfast! You can find the recipe on her website here. 1. Where do you find your daily fitness inspiration? Like Zig Zigler said, “People often tell me that motivation doesn’t last and I tell them that bathing doesn’t either. That’s why I recommend it daily”. That’s why I love group fitness; it’s an appointment to exercise with a whole bunch of fun people and I can’t cancel. When I teach I class I try to inspire the participants to work hard and they also inspire me! I also meditate and do my yoga breathing daily for mental clarity and strength. I LOVE any motivational saying and I save them all on my computer and share them on Facebook with my fans. 2.What is your eating approach (Low carb, low sugar, balanced, etc)? Eat for health, less calorie counting for myself and more about nourishing my body with real food. By eating more fruits, veggies and salads, etc., you naturally get less calories, less chemicals, and less preservatives. I try to avoid fake sugars and fake foods. I call myself a flexitarian, mostly vegetarian but I eat chicken occasionally and fish. I also try to eat meatless on Monday. 3. What advice do you have for women who are looking to lose weight or begin an exercise routine? Lots of people know what to do, but few people actually do what they know. Knowing is not enough! You must take action. Get started and begin with baby steps; strive for progress not perfection. It’s a journey so do be so in a rush for a quick fix. Start moving your body and start trying some healthy food options. The bottom line is in order to see a change you have to GET STARTED!!! I also advice having a support system –whether friends, a spouse, a virtual group, a trainer–support is a key component to success. 4. What is the one thing you are the most proud of? My children hands down are my most prized possession. No athletic race or product is more satisfying than seeing your children grow up and make good choices and be loving healthy adults. 5. What’s your favorite snack or treat? Oh well I don’t have just one! I love sweets so I have to be careful, but I love to make healthy desserts. I love ice cream and pumpkin pie the most so one of my favorite indulgences is Arctic Zero Pumpkin Spice: http://www.myarcticzero.com/. It’s like a protein shake in ice cream form, and it satisfies my sweet tooth. I love to try healthy dessert recipes and find lots of good ones on the internet or from friends. For snacks I eat homemade hummus and carrots and celery sticks. What are your healthy living tips? Share in the comments below!